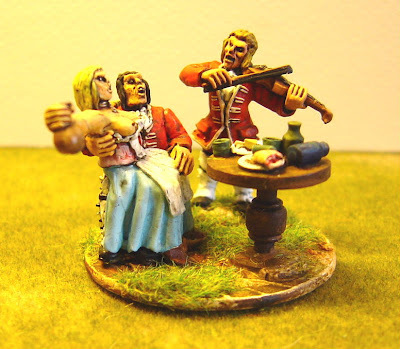 1) an English soldier being entertained by the 'wife' of the inn-keeper while another soldier runs of a cheerful ditty on the fiddle. 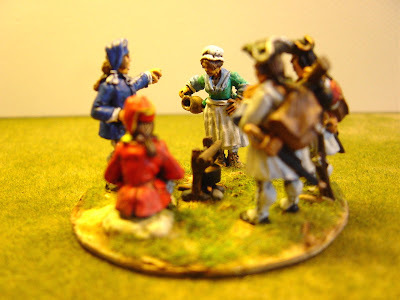 Trying to get her to look appealing was a bit of a painting trial but, like me, both soldiers are short-sighted. 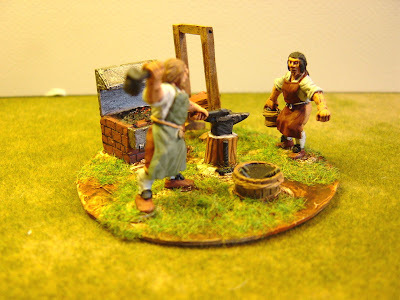 2) the blacksmith hard at work. 3) two pictures of a French camp-sight. They are rather better behaved. I really like your vignettes, Nigel. I didn't know the french one. Is this a FOUNDRY vignette or a diorama of yours ? Thanks guys. 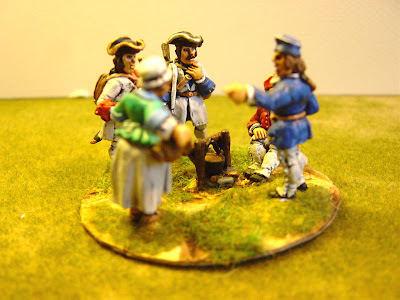 The vignettes are all by Foundry and available from them. The two main problems with these new Foundry figures are the sculpting of the hands and the heads (no neck!) 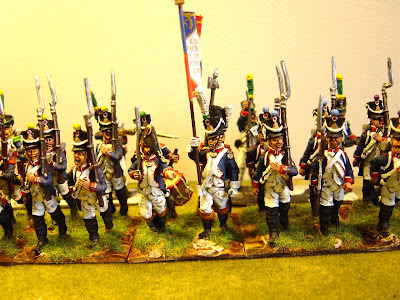 whereas the S&S figures have less obvious problems.